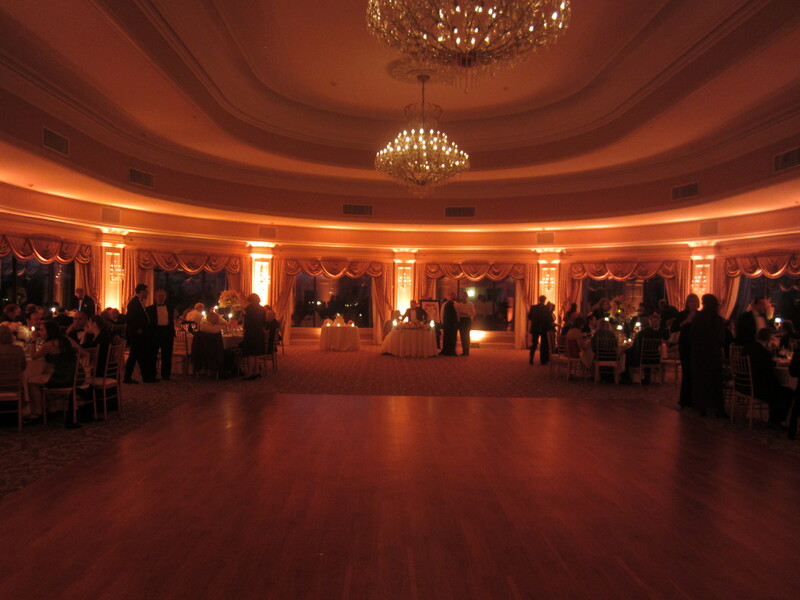 Below are some pictures that show perimeter ballroom “uplighting”. 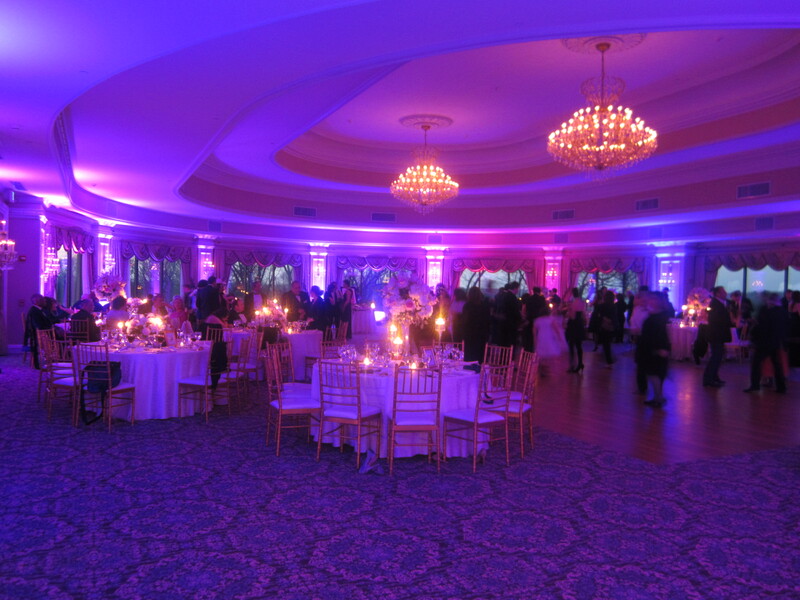 This effect is created using wireless LEDs. 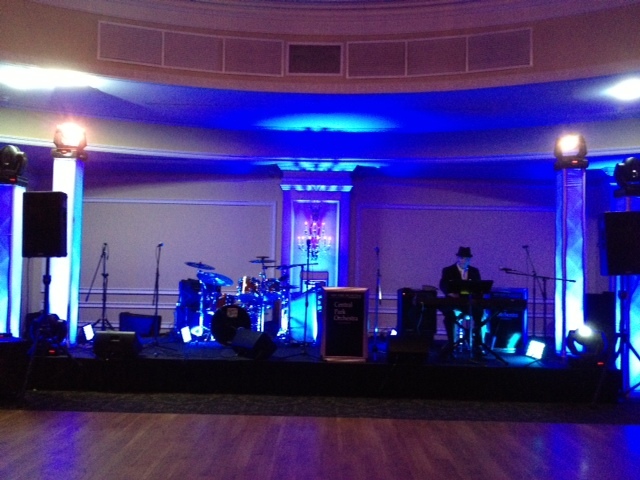 The first picture shows the band’s set-up on a stage that was brought in.